Product prices and availability are accurate as of 2019-04-17 22:17:24 UTC and are subject to change. Any price and availability information displayed on http://www.amazon.co.uk/ at the time of purchase will apply to the purchase of this product. 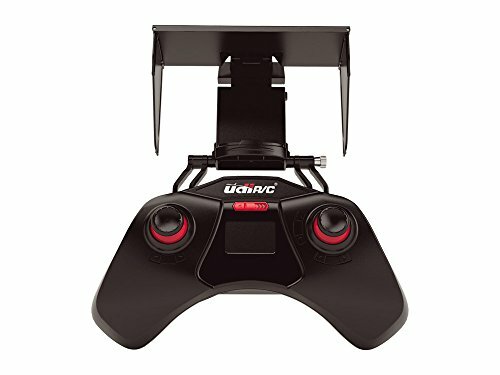 The UDI Peregrine U28 is equipped with a 2MP HD camera which lets you take aerial videos and photos. The option to switch between Low, Medium or High speed rates makes it suitable for everyone from beginners to expert drone pilots. Please Note: If you have not flown an RC model before you will need to learn. Flying any model aircraft requires some degree of care and skill, even the simplest 2 or 3 channel. We recommend you read the manufacturers instructions and prepare for your first flight. There are many useful guides to learning to fly RC aircraft and if you are still unsure help will be readily available at your local club. We recommend a range test before you fly. 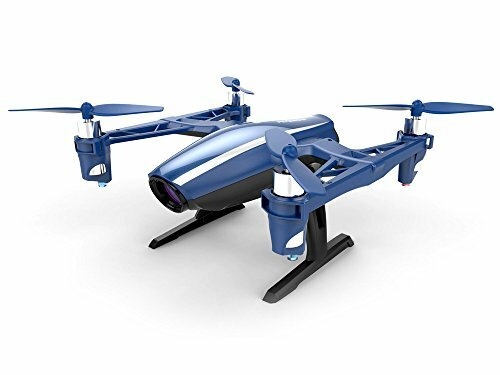 Your model will have a warranty but this will not cover damage to propellers, wings, fuselage, tail or any other part sustained due to pilot error or loss of transmitter signal. In simple terms, if you crash it, you will be responsible for the repair! 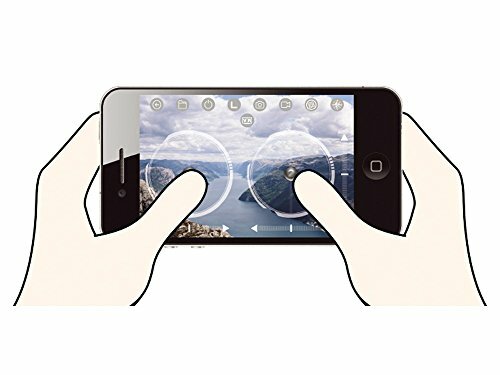 APP functional experience Udirc APP enjoy great interface design, real-time preview of the shooting screen, can quickly edit video parameters, humane select the video picture storage location. 2.4GHz LCD Control The controller operates just like any other drone, offering yaw, pitch, roll, altitude control, etc. The phone also allows you to save photos directly to your camera roll. Photos and videos are also saved on the drone's MicroSD card. Though, a smartphone isn't required. 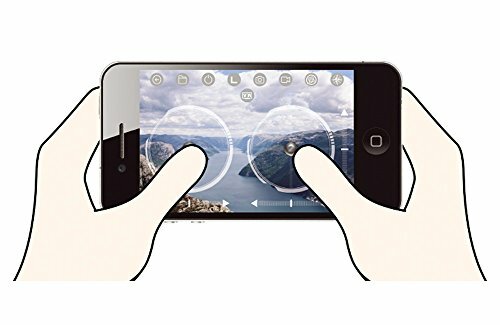 The controller comes with a photo and video button to snap pictures and start and stop recording. Inverted Flight & Flips This model will flip 180 degrees at the flick of a switch, and will continue to fly upside down! Simply flip the switch back again to revert the quad to its original upright positions. Box Contains: 1x U28W Peregrine Quadcopter. 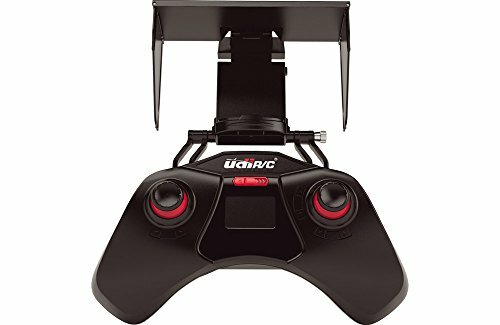 1x Controller. 1x 3.7V 500mAh Drone Battery. 1x USB Charger. 1x SD Card Reader. 1x Blades (4pcs/1 set). 1x Spanner. 1x User Manual. Required for Use: 4 x 'AA' 1.5V batteries for the transmitter. Specification: Camera: 1280 x 720p 30Mbps (Inc.). Flight Time: 5-7 Minutes (Approx). Range: Wi-Fi 20m (Approx). Weight: 52.8g. Radio System: 2.4 GHz (Inc.). Charger: USB (Inc.). Dimensions: 165 x 156 x 64 mm. Electric Motor: 4 x 8520 (Inc.). LiPo: 1S1P 3.7V 500mAh (Inc.).